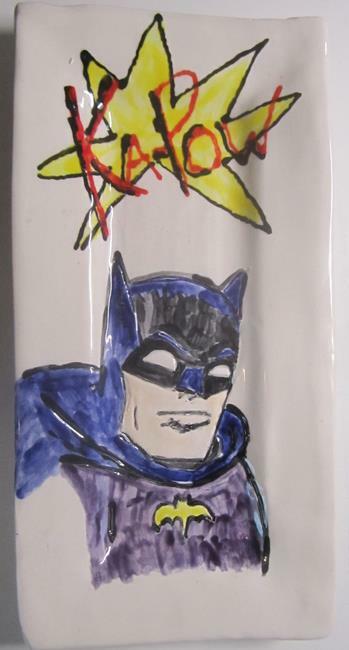 Handmade one of a Kind Ceramic Art, Pottery Plate, food safe glaze with Batman etched with "Kapow". Great tapas plate 9.5 inches long and 5 inches wide. Hand Washing is suggested.